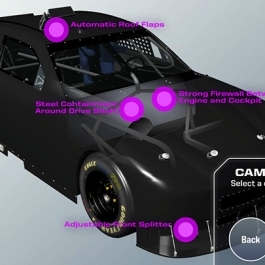 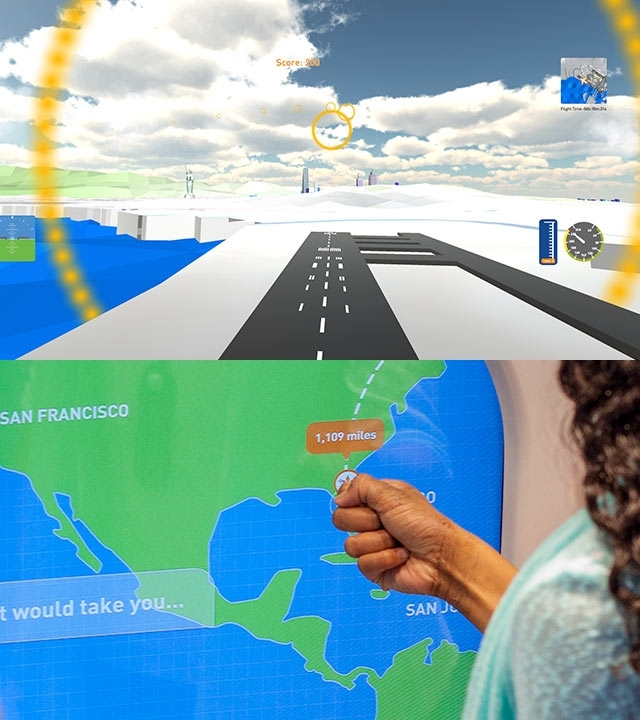 Flight simulator, augmented reality viewers, and touchscreen puzzle games. 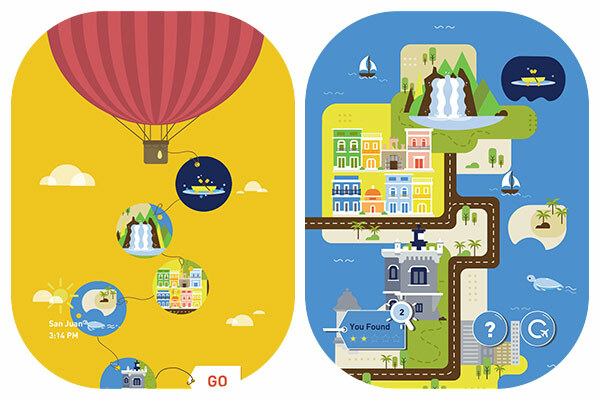 Air travel can be stressful, especially for children. 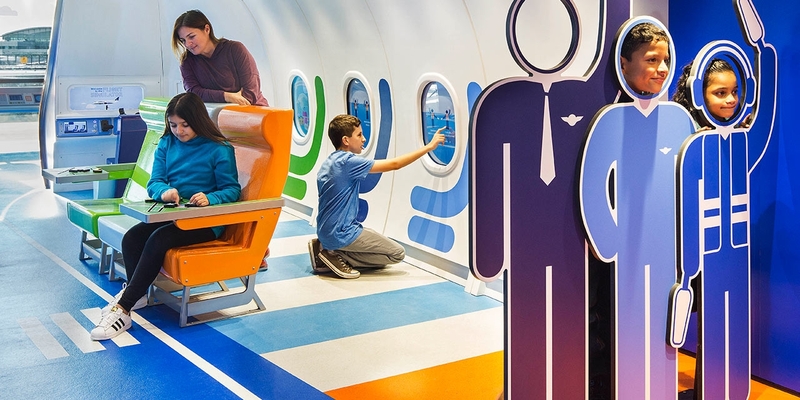 To alleviate the difficulties of air travel with young family members, Jetblue, in partnership with Lee Skolnick Architecture + Design Partnership, created a unique children’s playroom in Kennedy Airport’s Terminal 5. 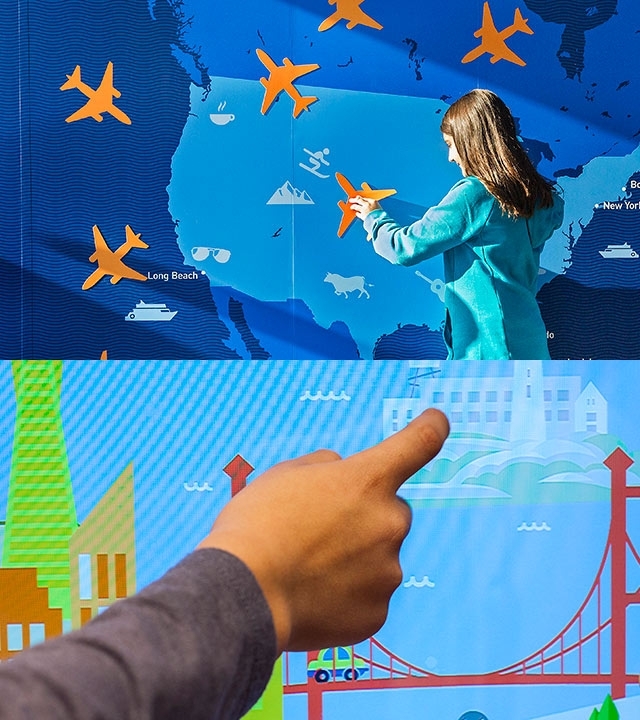 Unified Field created a host of interactive experiences including a flight simulator which allows children to pilot a flight from New York to either San Juan, Orlando or San Francisco. 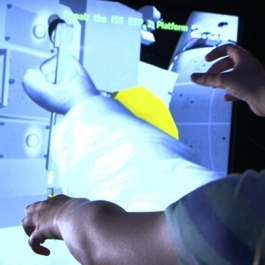 Sitting in the cockpit, young visitors use a Jetliner Boeing 737 yoke, in a full simulations of the iconic flight control system. 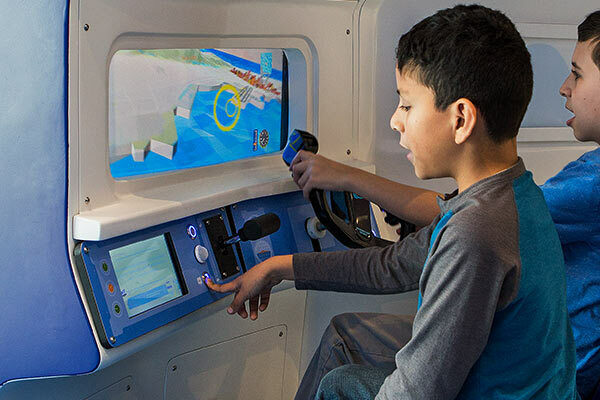 While one child pilots the aircraft though one of the whimsical digital environments created by Unified Field’s 3D modelers, another child in the copilot’s seat announces an inflight speech over the intercom. 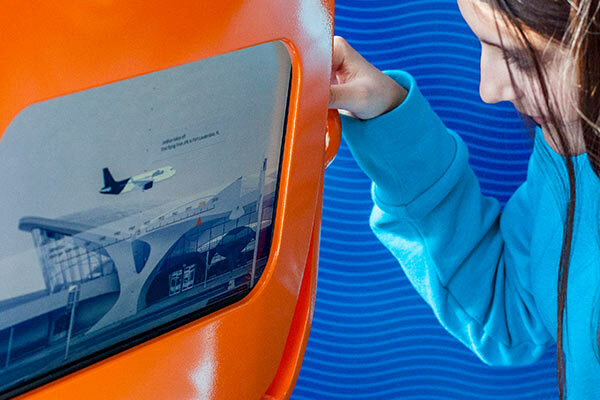 Nearby, a series of interactive plane windows inspire children to explore several multimedia landscapes of Jetblue destinations. 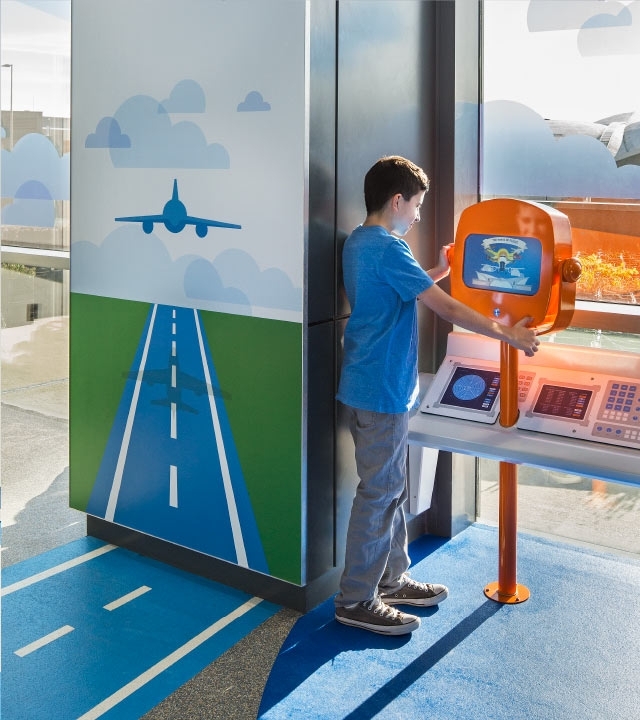 Two augmented reality viewers overlooking the tarmac allow children to explore the history of flight. 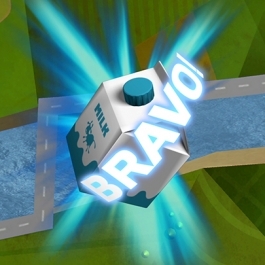 All of these experiences have been designed for children, as young as 2 years old, to enjoy without requiring reading for individual play, while additional interactive features are available for older children and caregivers. 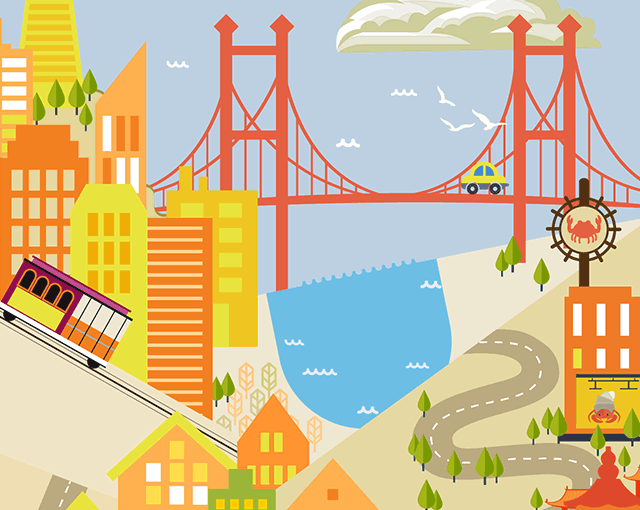 Produced in collaboration with Lee H. Skolnick Architecture + Design Partnership. 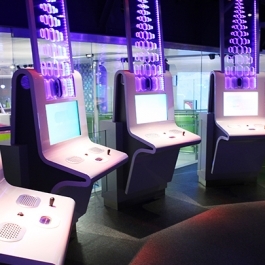 Unified Field engineered an ultra-realistic flight simulator and flight announcer experience for Jetblue Junior play space. 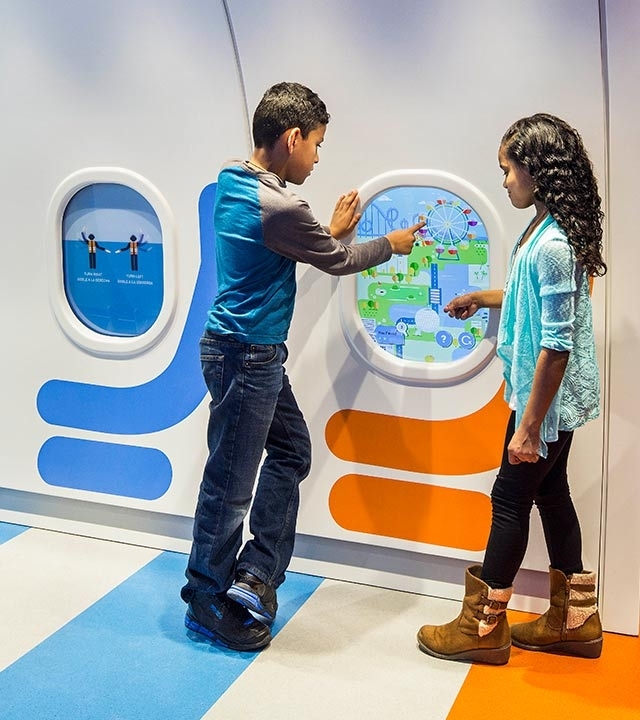 Unified Field created a series of whimsical animated games mounted in windows in the Jetblue children’s play area in Kennedy Airport. 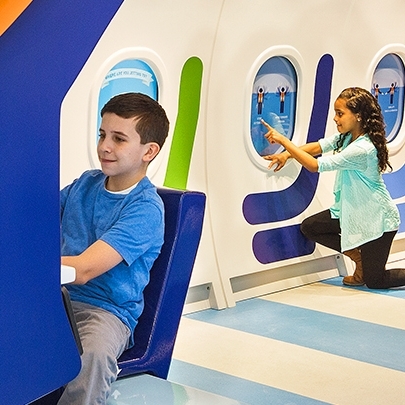 The Jetblue Junior Playroom tries to take the stress out of air travel for children and families. 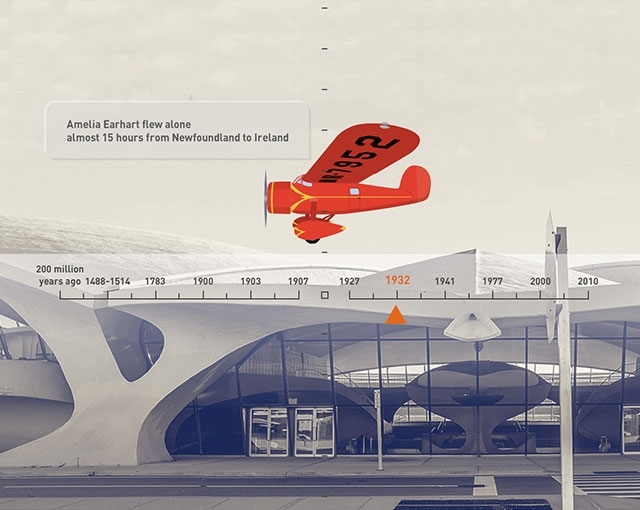 Augmented reality viewers inspire children to explore the history of flight through playful animations.